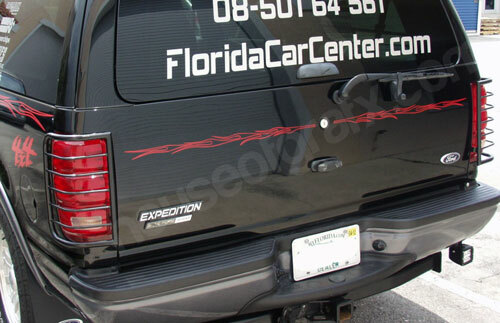 Add that custom look to any truck with our 28" long flame decals. You will receive 2 decals per order. They will be mirrored (facing opposite directions) as shown. Place on any hard, smooth surface. Cut fresh when ordered from professional grade, outdoor material.